It has to be one of the ultimate client reassurances when a commissioned architecture practice delivers a scheme so good that it decides to move in as a tenant. 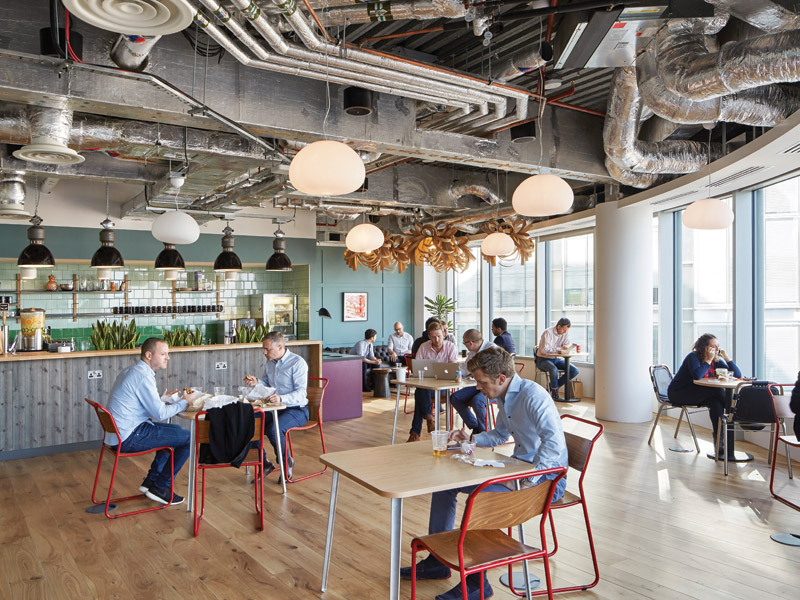 This was the case with John Robertson Architects (JRA), which completed a scheme for shared office space company WeWork, in December 2015, to then become a member and move in to accommodate its expanding workforce. 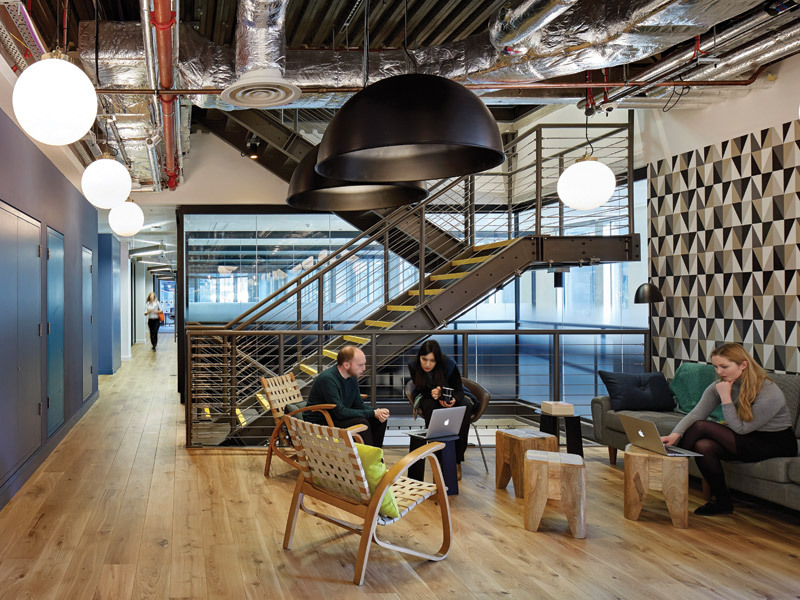 Commissioned by the building's owner British Land, as the base build and fit-out architect JRA worked closely with the WeWork in-house design team to deliver the sixth London workspace for WeWork; creating WeWork Spitalfields, located at 199 Bishopsgate and occupying six floors of the building. Inspired by geometry, pop culture, street art, nature and local culture, with a focus on community, WeWork's goal is to create consistency in the appearance of its locations around the world. JRA worked closely with the WeWork in-house design team to achieve a layout that was appropriate to the site while maintaining consistency with the brand. The challenge for JRA was to deliver a fast-paced project set within tight design and cost guidelines. 'The struggle is how to keep the same raw design feeling while making sure that each space feels unique,' says WeWork UK design project manager, Kimberly Kolkovich. But with WeWork Shoreditch as the only London location with its own dedicated entrance and integrated signage, JRA's addition of a feature staircase to the existing building helped create a space identity. In addition to access from the ground floor to the dedicated reception on the first floor, a second staircase was added to connect the reception with upper floors and encourage user interaction between floors and alleviate lift usage. To provide a social focus, each floor has a lounge area with a cafe bar overlooking Bishopsgate. 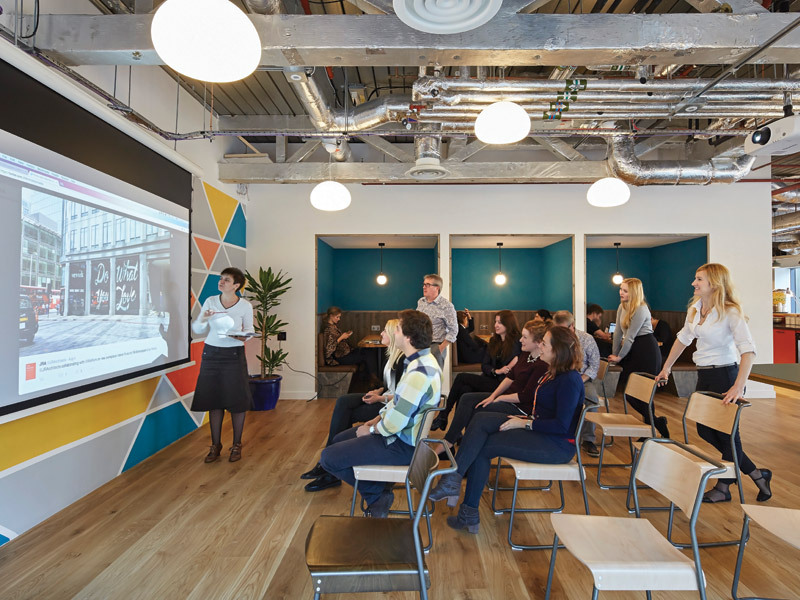 The first-floor entrance has a large lounge area used to host events for the entire WeWork Spitalfields community. Elsewhere, the open floorplates have been subdivided into individual rentable offices, arranged around a core of shared facilities, meeting rooms and phone booths. A communal open-plan environment allows users to rent a desk rather than an office, and some 70 desks are provided in a 'lab' on the second floor.